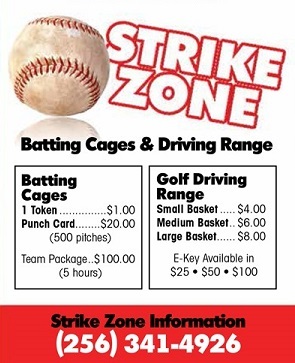 Join our team at the Strike Zone. at Point Mallard Ice Complex. 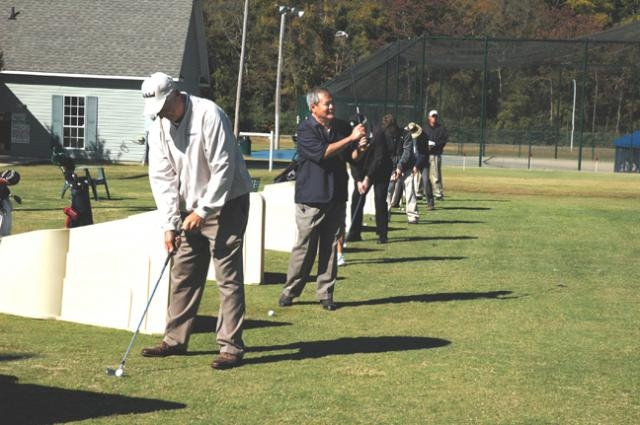 Located at the Bill J. Dukes ball field complex features a Golf Driving Range and Batting Cages. The Golf Driving Range features target greens, putting green and enclosed shelter. Rental clubs are available, and debit cards are available for non operating hours. Hours for the Strike Zone are seasonal. The Batting Cages feature Softball and Baseball pitching machines. Speeds range from 40 to 70 mph for baseball; slow speed and fast pitch for softball. The cages are available for rent by the hour. For more information please call (256) 341-4926. Strike Zone hours are subject to change from season to season. Strike Zone is closed during special events: Soul Stock, Alabama Jubilee, Spirit of America, and Battle of Decatur.